It’s common knowledge that construction involves tough work, whether that’s physically demanding tasks on the jobsite or fast-paced adjustments from the office to meet tight project budgets and timelines. But millennials — part of what’s been derogatively labeled by some as the “snowflake generation,” supposedly composed of individuals that inflate their own uniqueness or have an unwarranted sense of entitlement — are coming into the industry eager about the opportunities construction careers present. Undergraduate programs under the umbrella of construction — including a range of both trade and management tracks — grew by the second-largest percentage increase among all majors in enrollments at four-year institutions this spring, according to the National Student Clearinghouse Research Center. What’s driving students’ interest? For one, a construction economy that’s “roaring back” after taking a hard hit during the recession, according to Mike Jackson, professor and chair of Clemson University’s Department of Construction Science and Management. Program enrollments tend to ebb and flow with the economic cycles, Jackson said. “We’ve seen consistent growth over the last five years or so, and we’re anticipating at least another five years or so of good growth before we start to see the economy take maybe a bit of a downturn,” he told Construction Dive. The economic momentum is putting even more pressure on one of the industry’s toughest pain points, the labor shortage. In an effort to attract workers, construction employers across disciplines are bumping up wages. For graduates of construction management programs at universities like Clemson, Texas A&M and Northwestern, immediate job placement is almost a guarantee. According to Brad Benhart, associate professor of practice at Purdue Polytechnic Institute, construction employers are practically waiting at the door with the promise of a hefty starting salary. “We are typically graduating about 110 to 120 students per year and we have 180 [construction] companies come to our career fair,” he said. Likewise, students enrolled in Clemson’s construction management program typically have at least one job offer by the time they graduate, according to Jackson. The median salary for construction managers was $89,300 in 2016, according to BLS data. While the top earners in the profession made up to $158,330, entry-level graduates might expect an offer closer to $68,050. The average annual salary for all 2016 college graduates was about $20,000 less, or $48,270, according to the Hay Group division of human resources firm Korn Ferry. This new batch of construction students and graduates, a majority of them millennials, isn’t interested in having it simply handed to them. Educators and industry mentors say their drive and commitment breaks from most generational stereotypes. “This field attracts entrepreneurial, hardworking individuals that typically have type-A personalities,” said Jackson. 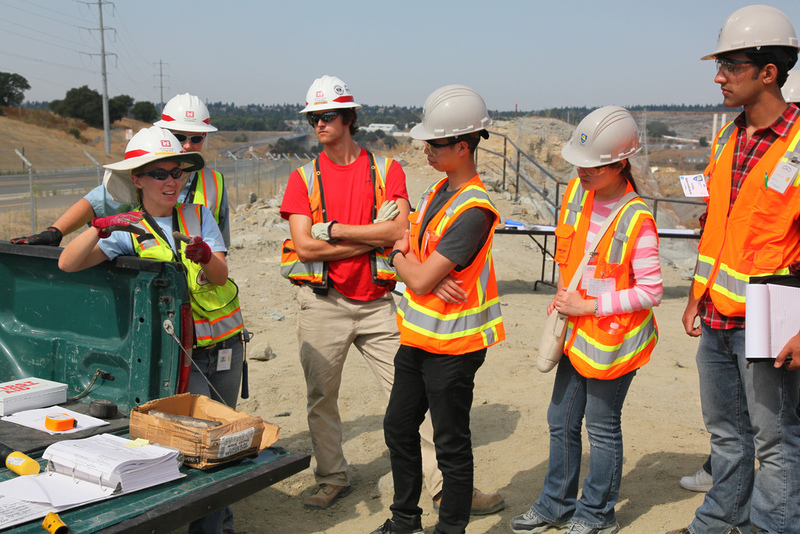 The students are eager to get to the jobsite, he said, and when they return from internships and co-ops, their excitement spills into the classroom. “They’re more likely to ask questions and engage with specific topics because they’ve experienced what you’re talking about in the classroom out in the field,” he said. Whereas Generation X and baby boomers were wired to put their heads down and wait for their annual performance review, Benhart said millennials benefit from small bits of feedback more often, so long as that feedback stops short of ego-stroking. Millennials became the largest generation in the U.S. labor force in 2016 and have yet to hit their participation peak, according to a Pew Research Center analysis of U.S. Census Bureau data, and baby boomer retirements are picking up speed. Millennials also lead the way in tech adoption, meaning they have a lot to offer in construction’s inevitable transition from the second-least digitized sector in the world to the most prominent adopters of some types of technologies, such as drones. So, no matter what they think about millennials, construction industry employers must adapt to the new wave of workforce, especially in light of the labor shortage.